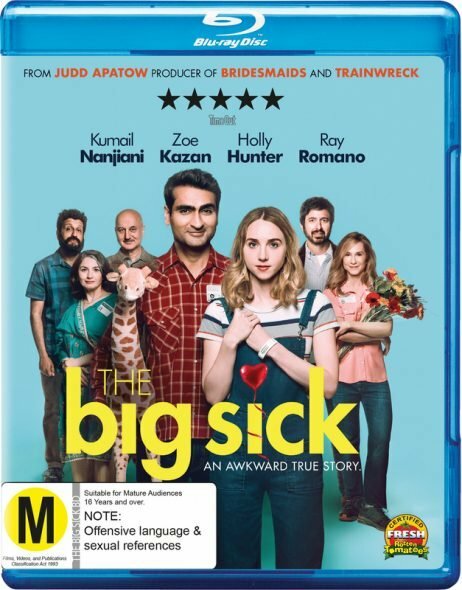 After a slew of blockbusters, and with more due next week, there’s only one new Blu-ray release this week, the indie comedy, The Big Sick, starring Silicon Valley’s Kumail Nanjiani. “Crisp, clean, and vibrant are the adjectives that best describe this sparkling 1080p/AVC MPEG-4 transfer,” High-Def Digest said. Terrific contrast and clarity enable fine details to grab attention and help promote a greater sense of depth. Grain is completely absent, but the image still exudes a film-like lushness that draws us into the narrative. Bright, well-saturated colours pop off the screen, and rich black levels and natural flesh tones nicely balance the picture. But DVD Active described some niggles because the photography “skews very dark” in such settings as dank basement comedy clubs, perpetually dim apartments/houses, and underlit hospital rooms. This causes minor clarity issues and significant upticks in grain/noise. Some of this might have been unavoidable and the overall detail is plenty lifelike where it counts, but the grain/noise is pretty excessive for a 2017 release – film or digital.